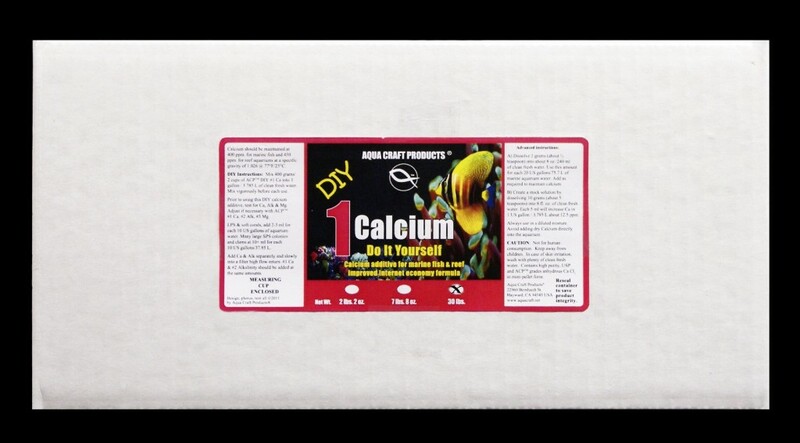 Replaces essential calcium used by corals, clams & other invertebrates. Calcium should be maintained between 380 ppm.-400 ppm. In marine fish &425 ppm-460 ppm. In reef aquariums at specific gravity of 1.026/35oot. At 77F/ 25C. 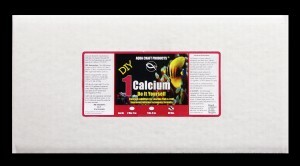 Calcium is also available in 2 pound jars that makes 2.25 gallons of super concentrated calcium solution. 7.5 pound pails that makes 8.5 gallons of super concentrated calcium solution and 30 pounds cartons that makes 34 gallons of super concentrated calcium solutions.